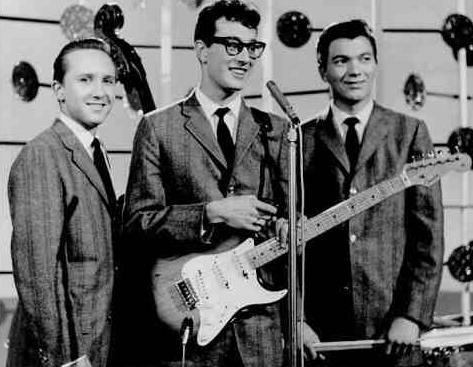 February 3, 1959, Buddy Holly and his group were killed in a plane crash. The aircraft went down shortly after take-off. Reports indicated that the plane encountered IFR weather conditions and that the pilot did not have the experience or IFR rated. The aircraft crashed 8 miles North of Mason City, Iowa during a snowstorm. All four passengers onboard were killed. The group was on a 24 Midwestern city tour called "The Winter Dance Party". The group travel city to city on an old broken down bus. It was mid winter and the bus heating system broke down. The band members hutteled to say warm. Holly's drummer, Carl Bunch, developed a severe case of frostbitten feet. On February 2, 1959, the Band stopped in Clear Lake, Iowa to play at the Surf Ballroom. It was a long bus ride. After the show, the band members got together and decided to charter a flight to their next tour city, Moorhead, Minnesota. This was in part due to the cold weather and their frustration around riding on an old broken down bus. The following the group chartered a single engine aircraft Beechcraft Bonanza, B35 (V-tail), aircraft tail registration N3794N (later reassigned) from Dwyer Flying Service in Mason City, Iowa. Piloting the aircraft was Roger Peterson, 21. The aircraft could only accommodate for passengers. Band member Richardson had developed a cold and requested that he be allowed to fly instead of taking the bus. Band member Waylon Jennings accommodated Richardson and gave up his seat on the Beechcraft Bonanza. It is said that when Buddy Holly learned that Jennings was giving up his seat on the plane Buddy responded in kind "Well, I hope your ol' bus freezes up” and Jennings responded “I hope your ol' plane crashes." The two were joking with one another. Ritchie Valens won a seat on the plane through a coin toss with Tommy Allsup. Dion DiMucci who was touring with the band decided the cost of the flight was too expensive.